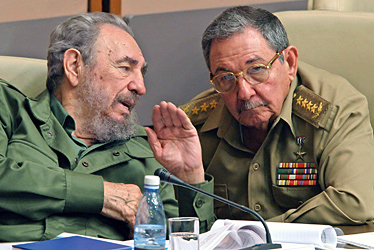 COHA Analysis: Without the Castros, What is the Fate of the Cuban Revolution? The United States, which continues its five decade year embargo on Cuba, has issued no comments in response to Raúl Castro’s announcement. Cuba’s future steps toward democratization could pave the way to repeal the Helms-Burton Act, a controversial legislation passed by the U.S. Congress in 1996 to continue Washington’s hostile policy against Cuba. W. Alex Sanchez, another Senior Research Fellow at COHA, has since speculated that “ in the coming years the Cuban government will continue to modernize the country’s economy but not give up control after the Castros step down from power. This means we may see more open migration laws as well as a continuous desire to seek offshore oil deposits.” Regardless of the outcome, as of 2018, the Castro name will hold somewhat less power and a younger generation will accelerate filling up more positions of greater political power. The following is a commentary from Council On Hemispheric Affairs guest scholar, Adrian H. Hearn. Hearn is an Australian Research Council (ARC) Future Fellow at the University of Sydney China Studies Center, and Chair of the Latin American Studies Association (LASA) Section for Asia and the Americas: — Raúl Castro’s announcement comes as internal pressure mounts on the Cuban government to advance the reforms outlined in the 2011 Communist Party Congress, particularly in relation to small business development. 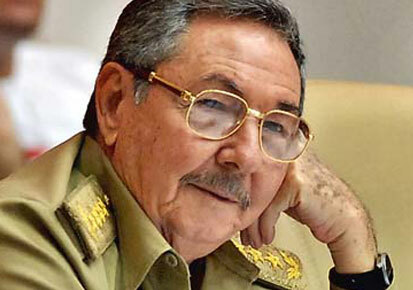 The controlled opening of the Cuban economy constitutes Raúl’s most prominent achievement, and Miguel Díaz-Canel has been entrusted to safeguard this legacy. According to a report presented to the Cuban National Assembly, 365,000 jobs were cut from the state payroll in 2011 and 2012, and the number of non-state workers grew by 23 percent. “Self-employed” workers now number around 400,000, but supporting their viability has become a pressing policy challenge. There are two reasons for this, one ideological and one practical, and the Castro/ Díaz team will need to deal with both. First, the Lineamientos discourage small businesses from expanding their activities and even stocking their back rooms, stating that, “in the non-state system, the concentration of property will not be permitted.” This commitment to egalitarianism will probably diminish over time. Political bureau member Esteban Lazo Hernandez predicts that by 2017, the year before Díaz-Canel is slated to take office, the growth of the private sector will see the state’s share of GDP fall from 95 percent to around 40 percent. A more practical obstacle to small business development is the absence of a coherent wholesale supply chain. Cuba’s new entrepreneurs must rely on finances and inputs acquired either from family overseas or illegally from socios (well-placed business partners) in state factories. Wider legalization of self-employment—a move often advocated by foreign commentators—will only deepen the black market if the supply problem is not dealt with first. Between now and 2018, establishing regulated supply chains to support small business development, diminish the black market, and reduce corruption will be critical both to the health of the Cuban economy and the credibility of the state. It is worth noting that across the Pacific, on a grander scale, China faces comparable challenges. Like Díaz-Canel, Xi Jinping has recently been selected by the internal mechanisms of his nation’s Communist Party as the new President. His acceptance speech may just as well have been delivered in Havana, calling for “reform and opening up,” the reduction of “undue emphasis on formality and bureaucracy,” and the eradication of “corruption and bribe-taking.” That the Chinese leadership has recognized Cuba as a “fraternal brother” is a telling recognition of shared heritage, and perhaps a common future. Dominica: The Caribbean’s Next “Terror Island”?